The South Korean professional baseball league has decided not to bring changes to its free agency this year, officials said Thursday. The Korea Baseball Organization said it will retain its current free agency system and shelve discussions on putting a cap on the length and value of free agent contracts, among other proposed changes. The KBO made some proposals to the Korea Professional Baseball Players Association in September. The KBO told the players' interest group that it would push forward with the proposals only if the KPBPA agreed with every item on the list. The KBO suggested limiting the maximum length of a free agent deal to four years and capping the monetary value at 8 billion won ($7.2 million). The league also offered to reduce the number of seasons a player must put in before becoming a free agent. Currently, to be eligible for free agency, high school graduates must play nine full seasons, while players who join the KBO after graduating from a four-year college must play eight full seasons. Those terms would be reduced to eight and seven years, respectively, under the KBO's ideas. The KBO also sought to divide free agents into three different classes based on their salaries over the five most recent seasons and to adjust the current compensation accordingly. Today, a club that signs a free agent must pay the player's previous club twice the amount of that player's previous salary and send a player not on their protected list, or pay three times the amount of the player's salary from the previous season. Under the KBO's proposals, financial compensation will be less burdensome for teams signing free agents in the lowest class. The KPBPA rejected the KBO's proposals and in particular balked at limiting the amount of money free agents could receive on the open market. Teams have been complaining that free agency has gone out of control and has put too much strain on their finances. But from the players' perspective, pending free agents would like to cash in after watching a dozen of their fellow pros ink multiyear deals worth more than 8 billion won during recent offseasons. The KBO will announce the list of players eligible for free agency five days after the conclusion of the Korean Series. 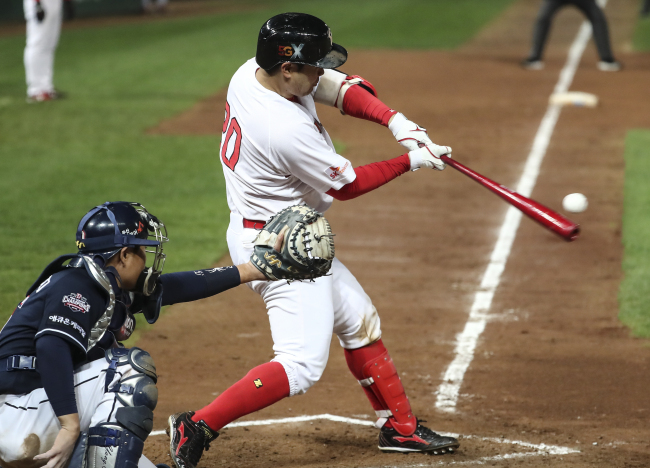 The SK Wyverns are leading the Doosan Bears 2-1, and the best-of-seven series will end sometime next week at the latest.